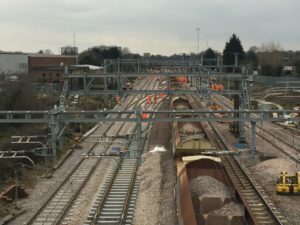 Populus was commissioned by Network Rail, the UK’s rail infrastructure manager, to conduct research into drivers’ behaviour around level crossings. Shockingly, it found that one in seven drivers said they would not wait for the gates / barriers at a level crossing to open before driving across. 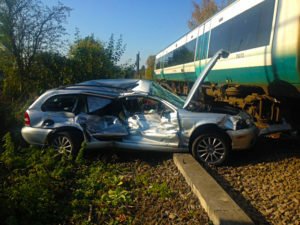 There are 46 vehicle incidents at level crossings every week in the UK. Of these, lorries make up the biggest proportion at 32 percent, while cars come in second at 28 percent. The study results indicate that drivers might not be aware of just how risky their behaviour is, with 31 percent of drivers in the UK reporting that they have not been taught how to behave at a level crossing. Network Rail says its level crossings are one if its biggest public safety risks, with its 20,000 miles of track being crossed at 3,800 public and private locations. The study found that drivers gave a number of reasons for their dangerous behaviour, with 45 percent citing their passengers and 30 percent citing concern at missing exams or hospital appointments. One particularly alarming finding was that 11 percent of respondents said they would drive over level crossings if they felt confident no train was coming based on their knowledge of the train timetable. It is important for drivers to be aware that freight trains and other non-listed services operate on these lines as well and travel through level crossings at speeds of up to 100mph. “It’s clear that there is a lack of knowledge around how dangerous railway crossings can be. We are seeing drivers take risks at level crossings every day – putting themselves and others in danger. Nothing is worth risking your life over, just to save a few minutes of time. Network Rail has teamed up with the British Transport Police to increase awareness of level crossing safety in a national safety campaign that is aimed at drivers. It highlights the dangers of disobeying safety instructions at level crossings. As part of this safety campaign Network Rail will hold safety events.